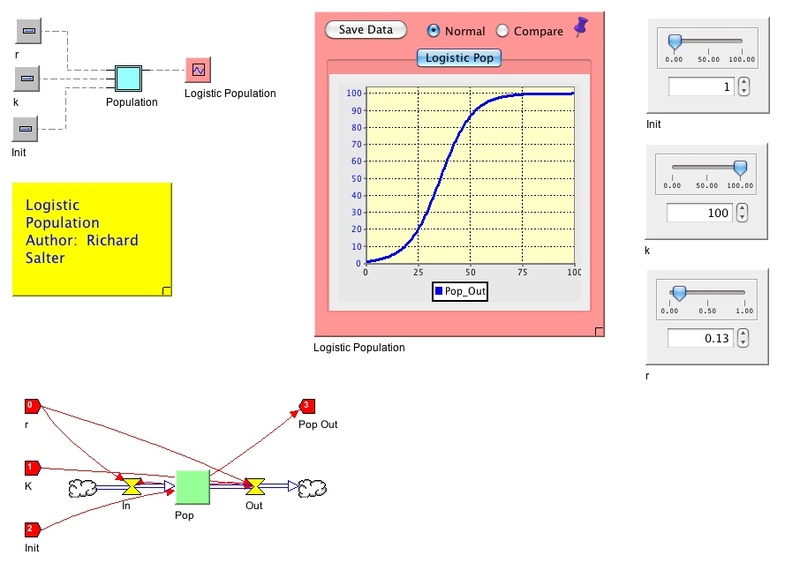 Here is a simple system dynamics model that shows logistic population growth. This model includes a value “k” for carrying capacity that can be adjusted using a slider. This model uses a chip and multiple layers to keep things organized. The top layer “logistic,” has sliders that allow users to adjust carrying capacity, initial population, and rate of growth. The 2nd layer, “population” contains “in” and “out” flows that symbolize births and deaths.